Potatoes or sweet potatoes are always a delicious gluten-free side dish. You can serve them in many ways, for example, baked, pureed, fried, or boiled. 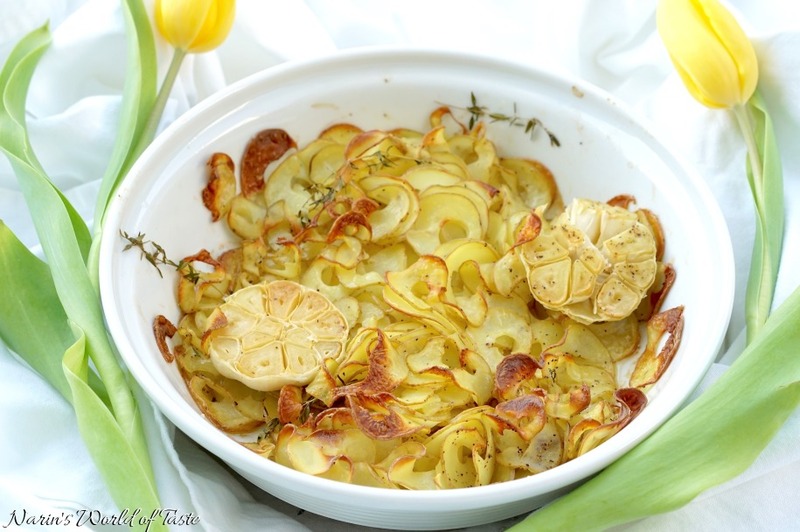 In this recipe, I spiraled the potatoes and baked them with the skin in the oven. 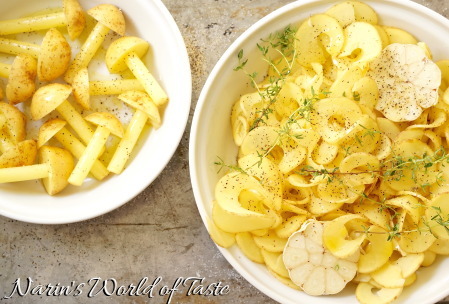 This makes the outside edges very crispy and taste almost like potato chips, while the inside has a delicious soft and almost creamy texture. I created this recipe as a side dish for my Easter recipe Herb Crusted Lamb with Carrots and Broccolini. Preheat your oven to 200 °C / 390°F. Wash the thyme and organic potatoes thoroughly. 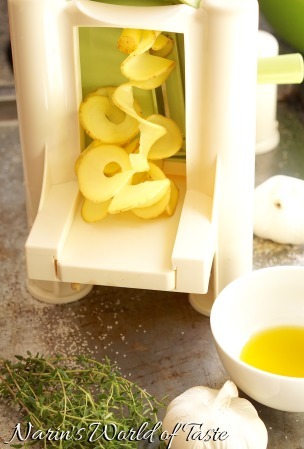 To make the spiraled potatoes, I use a Spiralizer. This works really well with any kind of potato. As a funny side effect, you will end up with potato pieces that look similar to mushrooms. 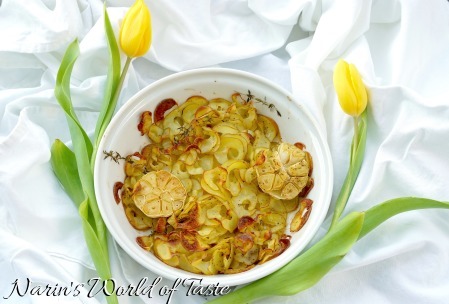 Pour the spiraled potatoes into a large casserole. You may actually need two casserole dishes as you don’t want to pack the spiraled potatoes too tightly. 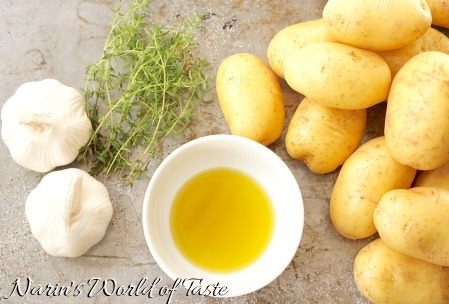 Season each casserole with one garlic bulb cut in half, 5 thyme stalks, salt & pepper, and 1-2 tbsp olive oil. 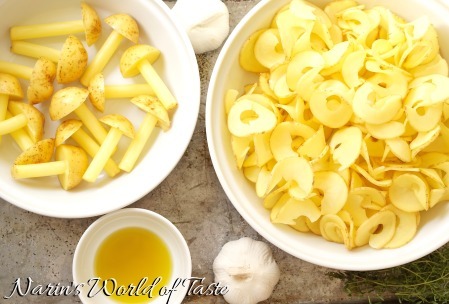 Place the mushroom-looking potatoes in a small separate casserole and also season with olive oil and salt & pepper to taste. Bake in the oven for about 30 – 40 minutes until nicely brown and crispy on the outside, while still soft and creamy on the inside. Serve immediately with your favorite meat or fish dish, for example my Easter recipe Herb Crusted Lamb with Carrots and Broccolini.